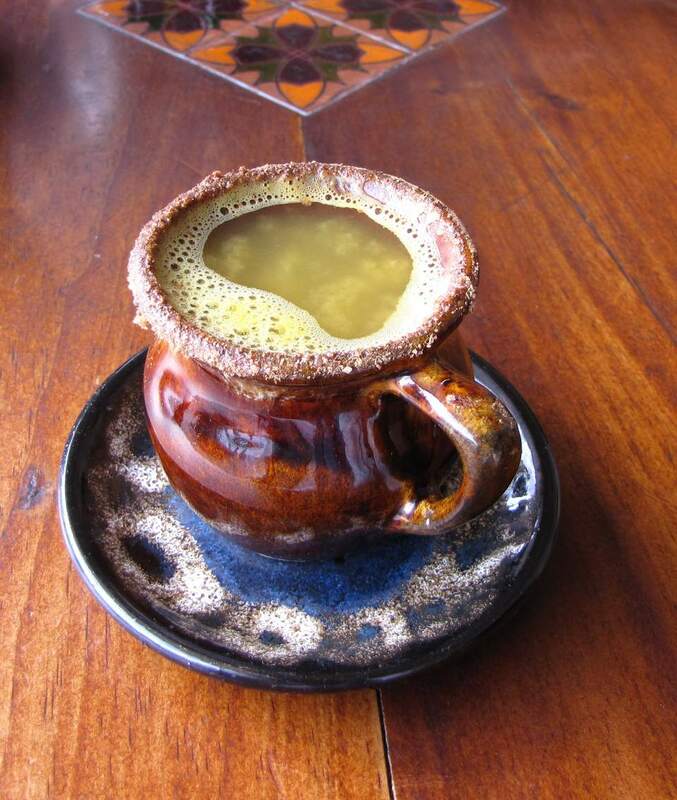 A canelazo will warm you up on a cold night high in the Andes—or a cold night anywhere, with a taste of South America. It's mostly associated with Ecuador, but it is also a favorite in the highlands of Colombia, Peru, and northern Argentina. It's made from brown sugar, cinnamon and cloves, orange and lime juice, and the Colombian concoction known as "aguardiente," or firewater. You might be thinking the ingredients sound a lot like a hot toddy, and you would be right. It's a hot toddy with a South American twist—the aguardiente. Aguardiente is a broad term for high-alcohol-content beverages distilled from a variety of sources. The kind they drink in South America is made from cane sugar, so rum makes a great substitute if you can't find aguardiente. Bring the water, both kinds of sugar, lime juice, salt, cloves, and cinnamon sticks to a boil. Remove from the heat and stir in the orange juice. Add the aguardiente or rum, to taste. Reheat without boiling. If it boils, the alcohol will boil away. Deep in December—or in the long cold days of January—nothing could be more fun than a canelazo night. Gather up your friends and make a roaring fire. Then make up a big batch of these warming canelazos and have yourself a cozy and convivial evening. So what tastes good with a sweet and fruity but fiery drink like this? Lay out an array of interesting cheeses, including stilton with cherries or cranberries embedded in them, and serve with small toasts. Dates stuffed with cheese are a terrific party snack. You can stuff them with cream cheese and roll them in powdered sugar for a tasty sweet. Or wrap them in bacon and stuff them with cream cheese and almonds or blue cheese and pecans for a more savory take on this classic. Stuff them with mascarpone, goat cheese, and basil and wrap in prosciutto for an Italian version of this hors-d'oeuvre. Put out small jars of gourmet preserves and jam along with croissants and scones. Another option is a tray full of dried apricots, cranberries and apples, along with raisins and nuts. Cookies like shortbread, sugar, black-and-whites (sugar cookies frosted with half chocolate and half vanilla), Mexican wedding, hermits and pecan sandies all go well with spicy and fruity canelazos.